The Supreme Court on Monday issued notice to the state of UP in connection with the June 18 Hapur Lynching incident which resulted in the death a Muslim meat trader. 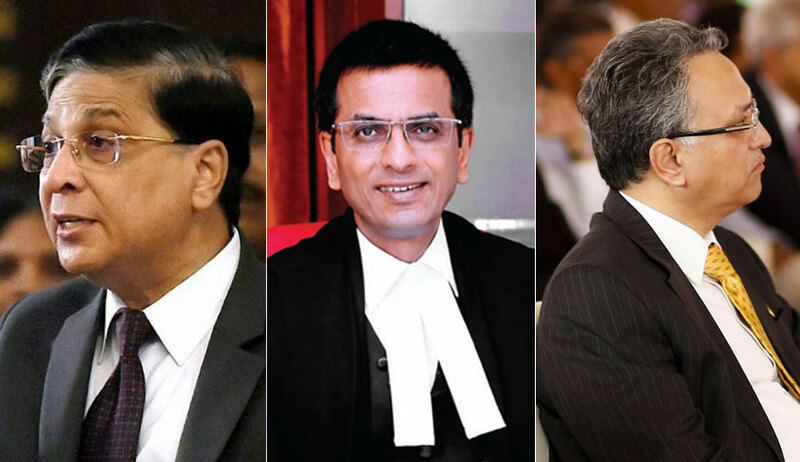 The bench of Chief Justice Dipak Misra, Justice D. Y. Chandrachud and Justice A. M. Khanwilkar was hearing a writ petition by one Samaydeen, who had witnessed and also faced attack in the course of the same unfortunate episode. Regarding the allegations in the petition as “serious”, the bench directed the Inspector General, Meerut to conduct an enquiry into the incident and submit the report in the meantime. Further, on the request of Senior Counsel K. V. Vishwanathan, appearing on behalf of the petitioners, the bench required the competent authority to move the concerned magistrate for the recording of the statements under section 164, Cr. P. C.
"To facilitate the recording of the statement under Section 164 of the Code of Criminal Procedure, 1973, the Inspector General of Police, Meerut (Range) shall issue directions to a suitable competent authority to move the concerned Magistrate for the said purpose". Finally, the court noted that should the petitioners feel any sense of insecurity, they may approach the concerned Superintendent of Police who shall make the requisite arrangements. "In addition to what we have stated hereinabove, if the petitioners do harbour a feeling of sense of insecurity, they shall bring it to the notice of the Superintendent of Police, Hapur (respondent No.4 herein), who shall provide them adequate security and do the needful so that they do not remain in a state of fear". Relying on the judgment in Jogendra Nahak v. State of Orissa (1999), where the apex court had declined to interpret Section 164(1) of the Cr. P. C. as empowering a magistrate to record the statement of a person unsponsored by the investigating agency, the Senior Advocate prayed that the bench order the Inspector General to move the magistrate for the recording of the statements. “We do not want the IO (Investigating Officer) to sponsor the statements”, he categorically stated. On Monday, when the advocate for the accused sought to draw the attention of the bench to what seemed to be anomalies in the FIR, the Chief Justice downright asserted that they are not concerned with the same. It may be noted that since the bench rendered its July 17 verdict, urging the Centre to enact a special law to circumvent mob violence and setting August 20 as the deadline for all states to comply with the preventive and remedial measures prescribed by it, this is the second instance of cow vigilantism in which the top court has already been approached. The Alwar Lynching case, where Senior Advocate Indira Jaising has moved a contempt application against the state of Rajasthan, is scheduled to be heard on August 20. Advocates Vrinda Grover, Goutham ShivShankar, Prasanna.S, Soutik Banerjee and Vrinda Bhanadaree were also appeared for the petitioner.